Car buyers in Britain are experiencing empty tanks. UK new car sales slumped during 2017, down almost 6% from 2016 record levels, and Brexit has been blamed for much of the drop that is the first annual decline in seven years. 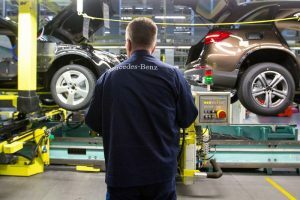 A member of a trade group representing automakers in the UK said that it was obvious that both business and consumer confidence dropped since the vote to leave the European Union was taken over 18 months ago. He added that 2017 was a highly volatile year and a lackluster growth in the economy meant there is further expectation of weakening for the market during 2018. In the months after the referendum vote to exit the EU, economic growth across the UK slowed, while the pound took a sharp drop, inflation soared and wages could not keep pace with the higher cost of living. Business owners and consumers have been feeling the pinch, with many not making large ticket purchases such as buying a new car or house. Car sales across the UK fell for nine straight months during 2017 and overall finished at 2.54 million. In December, car sales fell by slightly more than 14% in comparison to December of 2016. Brexit is not the only reason for the drop in car sales. The trade group cited the anti-diesel rhetoric by the government hurting sales of diesel vehicles which represent over 40%of the overall market. A higher tax for diesel vehicles when purchased has been introduced for 2018, and the government recently released its plans to ban the sale of new diesel and gasoline cars beginning in 2040 in its bid to clean the air of the country. In 2017 alone, sales of diesel cars fell 17%. These changes across the UK come as the consumers in other areas of Europe continue to spend on purchasing vehicles with overall registrations of new cars from January through November of 2017 up by more than 4%, showed date released by the European Automobile Manufacturers Association. As far as individual countries are concerned, sales were quite strong in both Spain and Italy. Spain’s car sales were up by over 8% while Italy’s were up by 9%. The auto agency in Europe has not reported as of yet its annual date for the region as a whole.